One of the biggest credit management risks that business leaders face is something many may not have considered: business-to-business (B2B) fraud, including bankruptcy fraud. 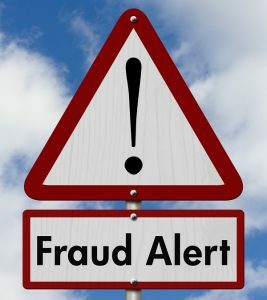 B2B fraud occurs when a member of a business you have contracted with purposefully and deceitfully defrauds your company by taking advantage of the credit you have lent without intent to pay. If caught in a B2B scam, it will certainly negatively affect your business. But the good news is that you can avoid B2B fraud through proper risk management. Commercial bust-outs — This method of fraud occurs when the deceitful person or group opens many lines of credit based on an initial good credit history. Once the credit is lent, this person or group will max out the limit with the full, dishonest intention of never paying the credit back. The borrower will often completely disappear before ever making a payment. This type of fraudulent activity amounts to millions of lost dollars annually. Account takeovers — This style of fraudulent behavior is reminiscent of personal identity theft, except in this case the credit is related to a business, rather than an individual. The scammer will either intercept or steal a business’s credit information or account numbers and place unauthorized orders on behalf of the legitimate business. This method of fraud is extremely difficult to detect because, up to this point, the business may have been very reliable. This type of B2B bankruptcy fraud is fairly common. Shell companies — In this form of fraudulent activity, a fraudster creates a shell company, one that has been set up with the sole purpose of committing B2B (and sometimes B2C) fraud, including money laundering. These companies are completely illegitimate and their owners very rarely actually sell goods or provide services. Oftentimes, they do not even have physical addresses, and if they do, they exist solely to trick business professionals or consumers into thinking they are authentic. Bleed-outs — This method of committing fraud is similar to a bust-out but, instead, it is often committed from within.2 Insiders — owners or persons in powerful roles — commit this type of fraud over a long periods of time. They bleed out assets, leaving company accountants unable to pay outstanding debts. Companies without long histories — Typically, companies with longer track records are safer business partners because they will have more credit history and references to work from. The shorter the life of the company, the less you will have to work with. Suspicious changes in ownership — If you see a well-established company with good credit that a new group, trying to hide the change in ownership, has recently taken over, this should raise a red flag. It may be an indicator that members of the new leadership are committing fraud. Questionable financial statements — If you ever find any mistakes or suspicious items on a company’s financial statement, take a good hard look before doing business with its decision-makers. This can be a sign something is amiss. Fraudulent credit references — When an applicant lists false references, this is a huge red flag — something is not right. Leaders of these businesses may have very poor credit histories or they may be committing some kind of fraud; in either situation, they are not your ideal credit partners. Schedules without receivables — If a company’s schedule does not list any receivables during the credit check phase, this may mean it is simply a fraudulent shell company that is not providing any goods or services to customers. Check this company twice before extending a line of credit. Using proper analytics to thoroughly evaluate a new business before extending credit is a vitally important step in avoiding these B2B scams. If you have any lingering doubts, it is best to analyze the business thoroughly with a credit risk management partner. This will help you manage your risk and help you determine whether new or existing clients are demonstrating any major B2B fraud red flags. This entry was posted on Wednesday, September 28th, 2016 at 12:03 pm	and is filed under Risk Management. You can follow any responses to this entry through the RSS 2.0 feed. Both comments and pings are currently closed.